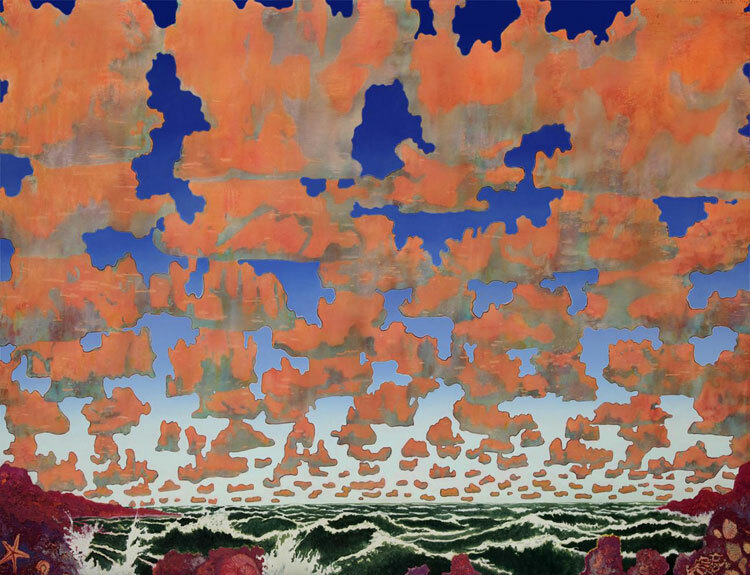 Aaron Morse, “Cloud World (#3)”, 2014. Aaron Morse is a Los Angeles-based artist whose most recent series of paintings at Acme Gallery displays inventive alternate universes and geographies, immersing the viewer into richly colored scenes of his imagination that seem as real as the tactile paint. An avid backpacker and map enthusiast, Morse’s most recently created worlds of fictional places and topographies are inspired by a fascination with aerial perspectives. 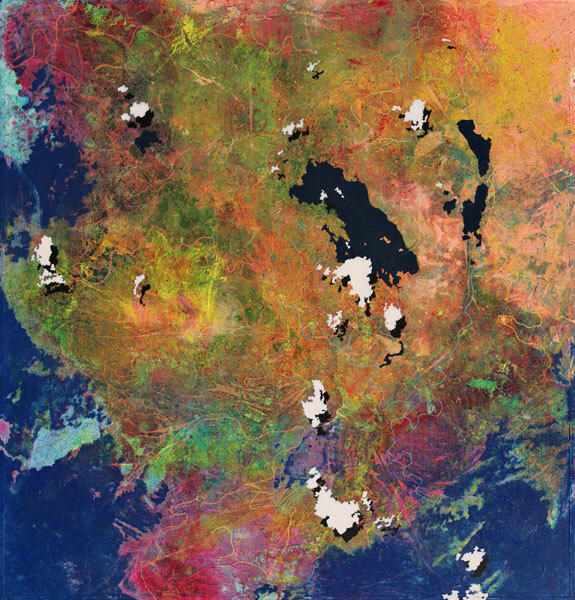 Aaron Morse, “Super Continent Ur”, 2015. Utilizing these little tricks of the trade, Morse gives complexity and depth to his geographic universe, populating them with bodies of water, wilderness, and desert, all seen from a different, illuminating vantage point. Building off his more narrative work of intimate, almost psychedelic nature scenes, the artist’s imaginary maps evoke a planetary consciousness that is out of this world. Images courtesy of the artist and Acme Gallery, Los Angeles.